An Assemblyman representing one of New York’s poorest areas has been accused of accepting bribes in exchange for services. 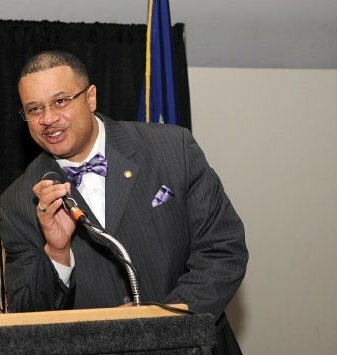 Eric Stevenson (D), representative of the New York State Assembly’s 79th District in the South Bronx, was arrested and accused by federal prosecutors today of accepting bribes and conspiring to defraud the state. U.S. Attorney Preet Bharara’s office announced this morning that the assemblyman and his coconspirators face charges on one count of Honest Services Fraud Conspiracy, one count of Bribery and Travel Act Conspiracy, and one count of Bribery. Stevenson’s alleged scheme involved helping several developers obtain building certificates, expediting construction work, and recruiting seniors for an adult day care facility. He is accused of taking a total of $20,000 in bribes to, among other favors, propose a moratorium on the facility’s construction which would have given the developers a competitive advantage and greater profitability. Another assembly member implicated in the scandal had been working with the investigation to build the case against Stevenson. Referred to only as “Assemblyman-1” in the compliant, he has been granted anonymity and in exchange for his cooperation will not be prosecuted, but agreed to resign his post upon Stevenson’s arrest. The arrest of Stevenson comes just two days after another top lawmaker in the state was charged with bribery and corruption. State Senator, Malcolm Smith of Queens, was arraigned for trying to buy a slot on the New York City mayoral ballot. Subject: LongIsland.com - Your Name sent you Article details of "New York State Assemblyman Arrested for Taking Bribes"